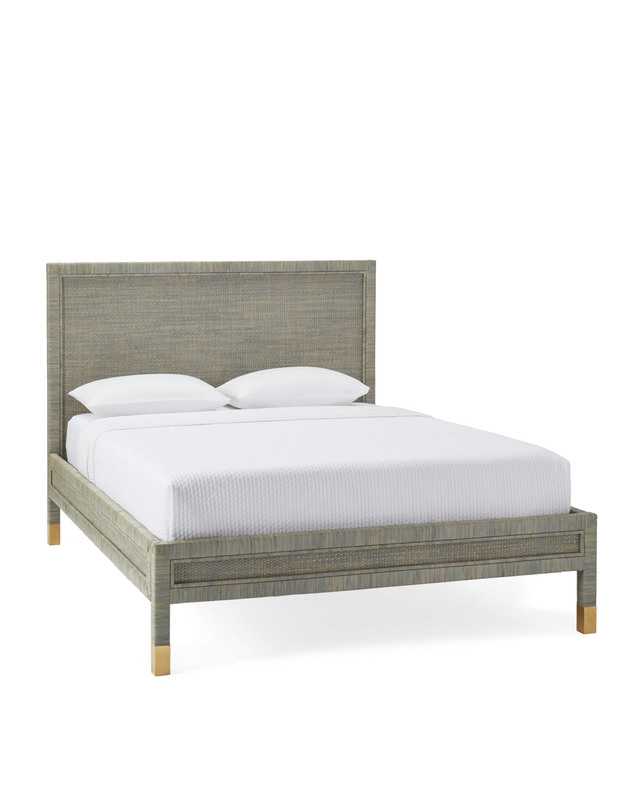 Balboa BedBalboa Bed, Mist alt="Balboa Bed, Mist"
Print We adore rattan and its power to elevate things without a lot of fuss. Here, artisans start with a solid mahogany frame and achieve perfect texture by weaving the rattan to display beautiful variations in tone. A design detail we love: brass end caps on each leg. Handcrafted of solid mahogany and hand-wrapped with rattan. Legs detailed with brass end caps. Twin: 43.5"W x 80.5"L x 52"H.
Queen: 64.5"W x 85.5"L x 52"H.
King: 80.5"W x 85.5"L x 52"H.
Floor to bottom of side rail: 9". Floor to top of side rail: 17".